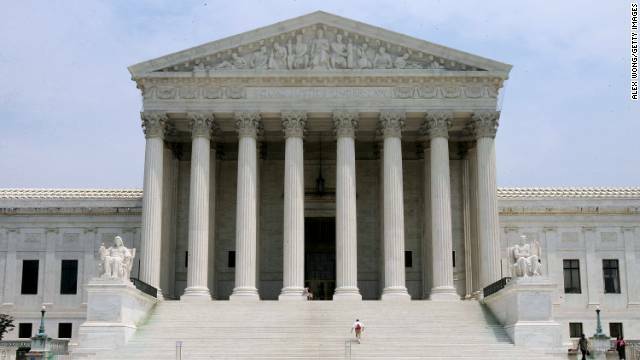 (CNN) –Hobby Lobby asked the U.S. Supreme Court on Monday for an exemption to the requirement under the Affordable Care Act that certain for-profit corporations provide contraception coverage to their workers. Ahead of oral arguments next month, the craft store giant is seeking exclusion on religious grounds from the health care law's requirements, maintaining that some contraceptive products, like the morning-after pill, equate to abortion. Hobby Lobby Stores, Inc., nationwide chain of about 500 arts and crafts stores with about 13,000 employees, was started by David and Barbara Green. They are devoted Christians, who maintain the stores, which are closed on Sundays, remain consistent with their biblical practices. The Greens' object to contraceptives like the morning-after pill, which they say amounts to abortion and, therefore, violates their faith, but are not opposed to all forms of contraception – such as condoms and diaphragms. The store estimated that they would face a $1.3 million daily fine beginning January 1 for noncompliance with the health care law after failing to receive temporary relief from the fines from the Supreme Court last year. Hobby Lobby lead attorney Kyle Duncan of the non-profit Becket Fund for Religious Liberty said its latest brief filed on Monday sharpens the issue. “No one should be forced to give up their constitutionally protected civil rights just to go into business," Duncan said in a statement. "The filing demonstrates in no uncertain terms that the government's efforts to strip this family business of its religious rights represent a gross violation of the Religious Freedom Restoration Act and the First Amendment. We are hopeful that the Supreme Court will uphold the 10th Circuit's strong affirmation of the Greens' rights to live out their deeply held beliefs in every aspect of their business." While churches and houses of worship are exempt from the mandate, other non-profit, religious-affiliate groups, like church-run hospitals and parochial schools, are still required to either themselves provide contraception coverage or have a third party insurer provide the benefits without the employer's involvement. For-profit companies like Hobby Lobby are not exempt under the law. President Barack Obama's sweeping health care law has been the subject of political and religious controversy, specifically the contraception requirements. Nearly 50 pending lawsuits have been filed in federal court from various corporations challenging birth control coverage under Obamacare. CNN's Bill Mears and Eric Marrapodi contributed to this report. Leave it to crazy progressive liberals to try to abolish freedom of religion provided by the FIRST amendment. Unbelievable that this poor family has to go all the way to the Supreme Court to standup for their religiously founded respect for human life. Absolutely shameful of the religion-haters on the extreme left. It's call the separation of church and state. Do they pay taxes?? Good question in more ways than one. Do you mean aren't they supposed to pay federal income taxes? Therein the problem actually lies. Greed. They want to pay out as little as possible. They don't want to pay for their fair share. They don't want to help pay for the public infrastructure, like roads and bridges, that deliver the goods and customer to their stores. They didn't build that, and so paying for that is someone else's problem, and not their responsibility. Way to miss the issue, champ. Employees at will aren't who is telling them anything. Rather, the federal gov't is. This is a Commerce Clause and Health and Welfare Clause issue that touches on the 1st Amendment. Ahhhh..... soo it is is now the role of government to dictate to businesses what their benefit plans can and cannot contain. Maybe the government should also decide what their products sell for as well?! Might as well because you just jacked up their expenses in a very big way. Bottom line is the corporations get their money from consumers and it will be the MIDDLE CLASS that will once again get the shaft and will pay for these government mandated benefits. And what is this rubbish about touching on the 1st Amendment? Let's here your nutty fantasy on that one. Screw these business' who think they are more deserving, and better then people. They can follow the same laws as everyone else or close their doors. Who do they think they are? The Church of the Divine Kewpie Doll. Its called a Group Plan, Donna. The more people involved, the less the cost. Only existed for decades. Why don't you quit the constant lies. If you want to go on believing in the tooth fairy thats your business. Don't expect the rest of us to make provisions for it. They are a for profit company and should comply with the law. Their company is not directly religiously affilated with a religious organization. Even then this company shouldn't get an exclusion because those that deal with the public aren't exclusive to one specific religion. It's not about contraception. It's about weather or not you can force a company to PAY for said contraception. Also, an unrelated question: would this affordable care also cover Viagra, condoms, and other male reproductive needs? If not, that would be unequal wouldn't it? What's next? Hobby Lobby requiring as a condition employment the right to search your home to see if you're eating a Biblical diet? Inspecting your wardrobe to ensure you are "modest" enough in your dress? Questioning your spouse to see whether you're engaging in the "proper" bedroom positions? Unless you're a slave, employers have no right to dictate what you do with your body – and no right to impose their religious beliefs on you. Screw these business' who think they are more deserving, and better then people. They can follow the same laws as everyone else or close their doors. Who do they think they are? The Church of the Divine Dried Flower Arrangement. I thought we had the right to the Freedom of Religion. This is TYRANNY. Hobby Lobby has the freedom of religion, and providing contraceptives violets their religion. This law is not about Affordable Health Care, its about controlling you and me and deciding who gets what. Its about taking away YOUR freedom and liberties.